The combination between orange and pomegranate is a bomb of nutrients, mainly vitamins and antioxidants which boost the immune system. Plus, it’s amazingly delicious and refreshing, perfect for summer. 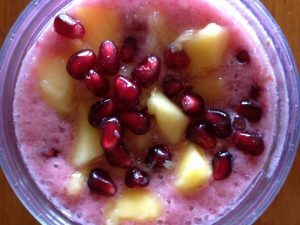 Pomegranates are a great source of antioxidants, but the coconut water is just as healthy with its high nutritional content. 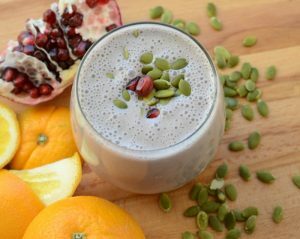 It’s a great smoothie for re-hydrating your body during summer.